General Ledger maintenance is requirement to be done on a daily basis by all organizations to stay their accounts up to date. As such accounting work demands uniform and regular attention of technically sound accounting professionals, therefore off-late the final ledger maintenance work is additionally being more and more outsourced by the majority business setups across the world to low price outsourcing country like Pakistan. We offer a complete range of general ledger accounting services to our clientele across the world. Backed by our domain expertise, we offer such general ledger bookkeeping and accounting services to our clientele which comply their local & international accounting standards with quality commitments. 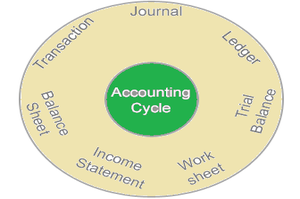 Our Accountants provides accounting services to helps you generally ledger creation and maintenance. Our analysis and reports for GL service includes full chart of accounts heads like current assets, liabilities, revenue, equity, accounts payable and receivable, etc. We prepare GL for supporting the various detailed information specified in major financial statements. We take reliable information from the source document provided by the clientele to create general ledger (GL).